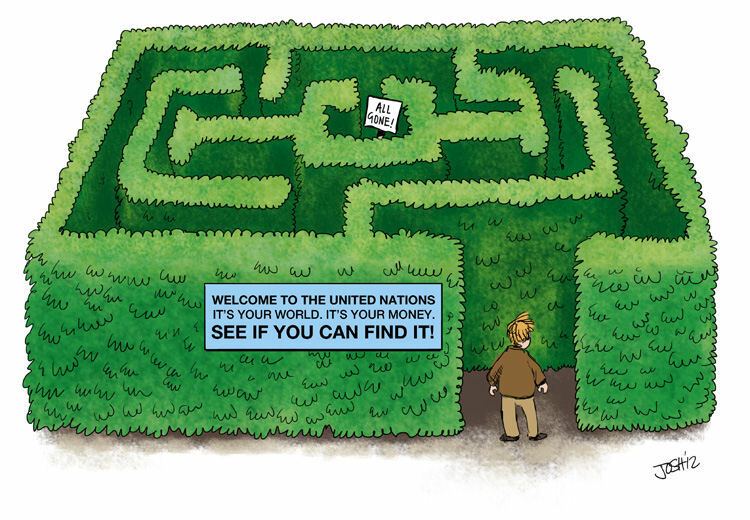 If nothing else, the UN is very prolific when it comes to spawning acronymic agencies of doom and gloom. Not known for practicing what it preaches – particularly when it comes to matters environmental – in recent weeks we have seen two high profile, high carbon-footprint (low productivity) conferences under the auspices of the United Nations Environment Program (UNEP – dedicated to the creation of increasingly scary stories since 1972). No sooner had the United Nations Framework Convention on Climate Change (UNFCCC) picked itself up after (predictably flopping in) Tianjin, China, than it was onwards and upwards to Pachauri’s ‘hell no, I won’t go show’ at Busan, Korea, aka the “Thirty-Second Session of the IPCC“. Then they took a breather (although I’m not sure where) before heading to Nagoya, Japan for yet another UNEP sponsored meeting. Busan/Nairobi (sic), 11 June 2010 – History was made, Friday, in the South Korean port city of Busan, when governments gave the green light to an Intergovernmental Science Policy Platform on Biodiversity and Ecosystem Services (IPBES). The new body will bridge the gulf between the wealth of scientific knowledge -documenting accelerating declines and degradation of the natural world – and the decisive government action required to reverse these damaging trends. Its various roles will include carrying out high quality peer reviews of the wealth of science on biodiversity and ecosystem services emerging from research institutes across the globe in order to provide gold standard reports to governments. These reports will not only cover the state, status and trends of biodiversity and ecosystems, but will also outline transformational policy options and responses to bring about real change in their fortunes. Hmmm … yet another “gold standard” body – and modeled on the IPCC, a body whose considerable shortcomings have recently been documented, if not yet addressed. Nagoya, Japan, 20 October 2010– The economic importance of the world’s natural assets is now firmly on the political radar as a result of an international assessment showcasing the enormous economic value of forests, freshwater, soils and coral reefs, as well as the social and economic costs of their loss, was the conclusion of The Economics of Ecosystems and Biodiversity (TEEB) report launched today by TEEB study leader, Pavan Sukhdev. “TEEB has documented not only the multi-trillion dollar importance to the global economy of the natural world, but the kinds of policy-shifts and smart market mechanisms that can embed fresh thinking in a world beset by a rising raft of multiple challenges. The good news is that many communities and countries are already seeing the potential of incorporating the value of nature into decision-making,” said Mr. Sukhdev, a banker who heads up the Green Economy Initiative of the United Nations Environment Programme (UNEP). He was speaking at the launch of the two-year study, which has involved hundreds of experts from around the world, at the Convention on Biological Diversity’s 10th Conference of Parties meeting (CBD COP10) in Nagoya. The TEEB study calls for wider recognition of nature’s contribution to human livelihoods, health, security, and culture by decision-makers at all levels (local to national and business to citizens). It promotes the demonstration, and where appropriate, the capture of the economic values of nature’s services through an array of policy instruments and mechanisms. A career banker […] on a sabbatical from the Bank for two years to conduct his environmental projects, TEEB and the Green Economy Initiative. He continues to be on the Board of Deutsche Banks Global Markets Centre Mumbai (GMC Mumbai), a company he founded and then chaired. GMC Mumbai, a dedicated global hub for global markets “front-office off-shoring” activity, was a market first of its kind which Pavan had set up for Deutsche Bank in February 2006. Until July 2008, he was the Head of Deutsche Bank’s Global Markets Business in India, including its Fixed Income and Equities divisions and GMC Mumbai. From 2006 to 2008, he led the build-out of Deutsche Banks Global Markets presence in India into a veritable powerhouse, spanning capital markets origination, trading and sales, a fixed income primary dealership, a market-leading equities institutional brokerage, a newly formed Non-banking Finance Company and also GMC Mumbai. Biodiversity and ecosystems have in recent years rapidly rocketed up the international agenda. They have become – and quite rightly become – issues on a par with the other major challenges for this generation: climate change being the most obvious. Human-kinds ability to impact the natural systems underpinning lives and livelihoods has gone from the local to the global and is reaching far and wide. Equally humanity’s scientific and technological ability to measure, assess and chronicle those impacts is today unprecedented. This year’s Global Biodiversity Outlook-3, prepared in close collaboration with UNEP’s World Conservation Monitoring Centre, points to ‘tipping points’ fast emerging – changes for example in freshwater systems that soon may be irreversible. The Millennium Ecosystem Assessment of 2005 concluded that 60 per cent of the services provided by the world’s ecosystems that support human well being are now either degraded or heading that way. Changes in biodiversity as a result of human activities were more rapid in the past 50 years that at any time in human history, it concludes. The report, the output of more than 1,300 scientists from more than 90 countries supported by UNEP, the Global Environment Facility and many other partners, underlined that rather than exercising the brake the world continues to choose the accelerator. This is indeed a defining moment in the history of mankind. As Daisetz Teitaro Suzuki stated “The problem of Nature is the problem of human life”. However, today human life is a problem for Nature. Assembled at this historical Aichi-Nagoya biodiversity summit, we the 16,000 participants assembled today from all over the world, representing the 193 Parties and their partners, are called upon to address the unprecedented loss of biodiversity seriously compounded by global warming. To do so, let us have the courage to look in the eyes of our children and admit that we have failed, individually and collectively, to fulfil the Johannesburg promise made to them by the 110 Heads of State and Government to substantially reduce the loss of biodiversity by 2010. Let us look in the eyes of our children and admit that we continue to lose biodiversity at an unprecedented rate, thus mortgaging their future. I do hate to ask inconvenient questions, but … in light of the above, why does the world need the IPBES, a new kid on the alarmism block? In my skimming of TEEB (“MAINSTREAMING THE ECONOMICS OF NATURE A SYNTHESIS OF THE APPROACH, CONCLUSIONS AND RECOMMENDATIONS OF TEEB“), I noticed mention of “biodiversity offsets or other schemes to mitigate and/or compensate” (e.g. p. 22). Would these “offsets” and “other schemes” be anything like, oh, I dunno … carbon “offsets” and “carbon trading”? Fascinating Hillary – it all has an eerie familiarity about it, doesn’t it? Thanks for alerting everyone. I knew either Ocean Acidification or biodiversity was going to be the next tactic. I’ll run with a thread on my own blog, and link back here. I’m fairly sure James Delingpole will run with it soon, too. THEN you’ll see some traffic, trust me! 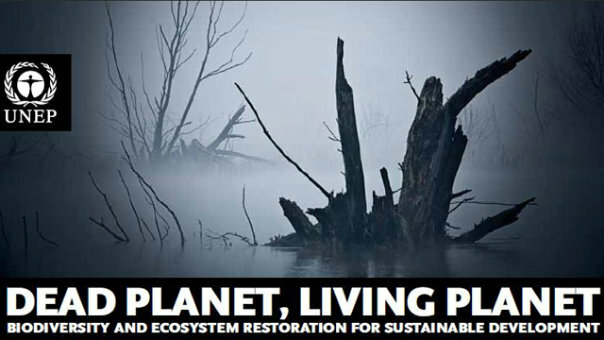 Pingback: It’s Started Again – Biodiversity And The IPBES | Be Responsible – Be Free! Pingback: Week in Review 12/16/11 | Climate Etc. See also Alex Cull’s Jan. 19/2013 “Out with the old, in with the new!” observations in the more recent “Quote of the week: Pachauri’s recipe for IPCC messages” post.